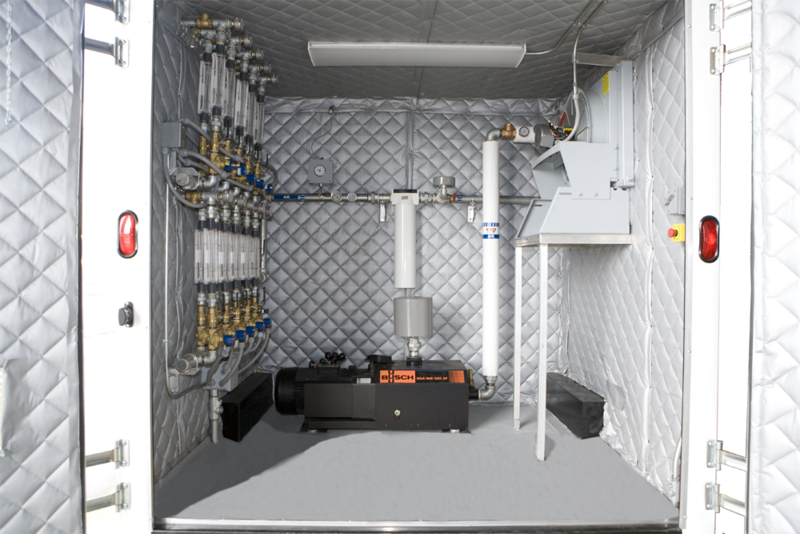 Air sparging is an on-site remediation process utilized to treat soil and groundwater that has gotten contaminated by volatile organic compounds (VOCs). In this process, an injection well is drilled into the contaminated soil or water table. 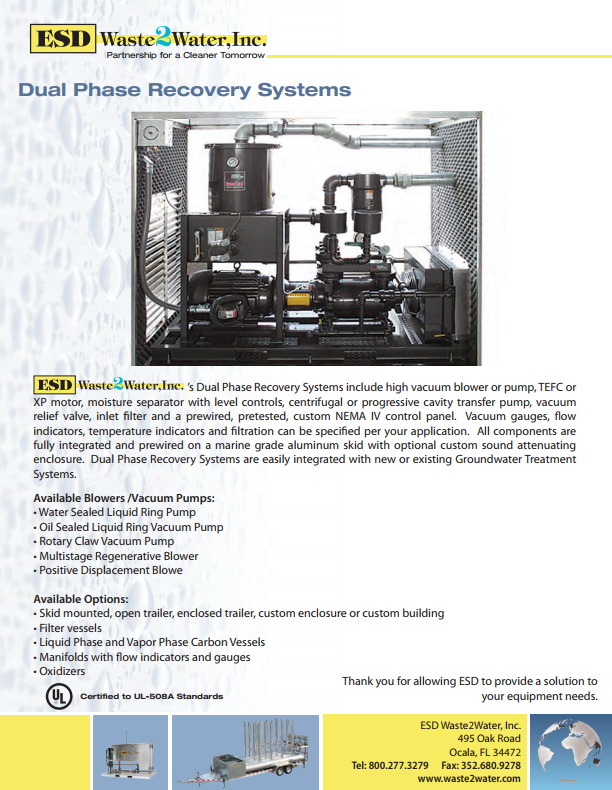 Pressurized air is injected through the well into the contaminated material, causing the hydrocarbons within the VOC to change state and dissolve into vapor. The vaporized air, sometimes called “off-gases,” bubbles up through the soil or water table and is pulled out of the ground for treatment. Typically, the off-gases must be piped through an air-water separator to remove moisture, which can interfere with the treatment. 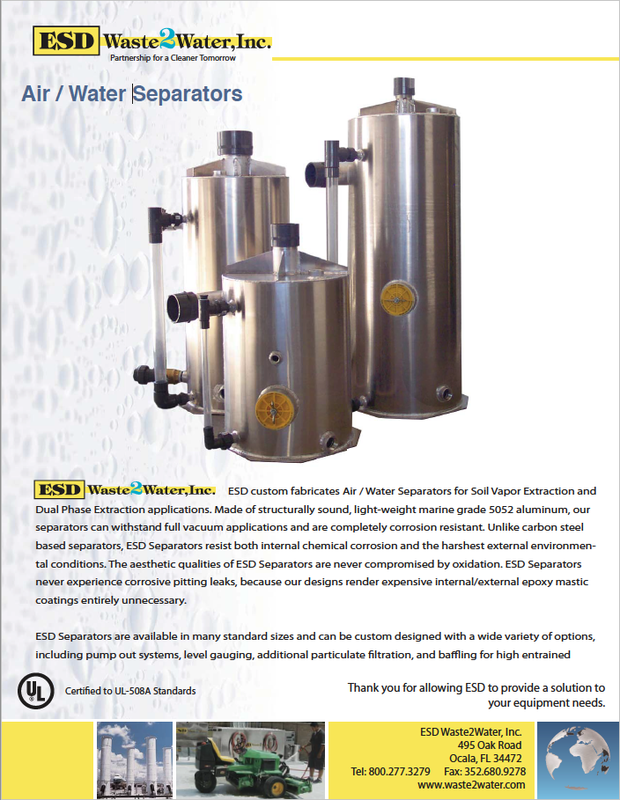 The contaminated off-gases are then sent into an extraction system that removes the toxic contaminants. Finally, clean air that meets air quality standards is released. Air sparging is a safe process that poses minimal risk to site workers and the surrounding community. 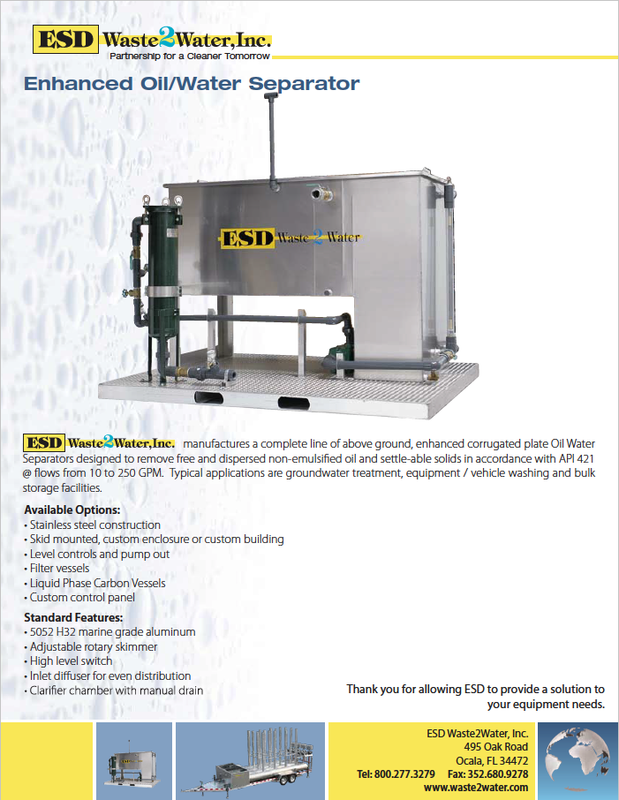 Chemicals are not required to treat the contaminated materials, and any hazardous off-gases are contained within the extraction equipment. 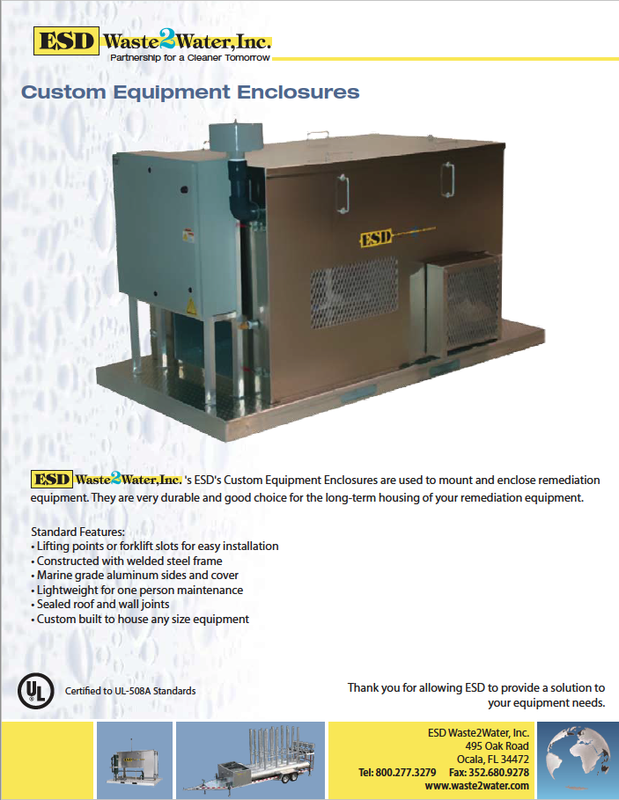 ESD Waste2Water’s Air Sparging Systems include blower or compressor, TEFC or XP motor, heat exchanger if required and a prewired, pretested, custom NEMA IV control panel. Pressure gauges, flow indicators, temperature indicators and filtration can be specified per your application. All components are fully integrated and prewired on a marine grade aluminum skid with optional custom sound attenuating enclosure. 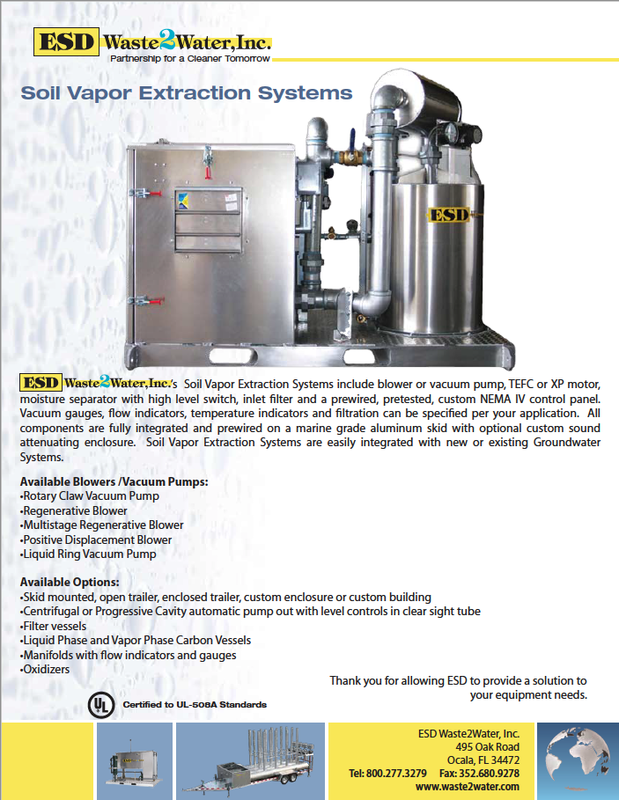 Air Sparging Systems are easily integrated with new or existing Soil Vapor Extraction Systems. 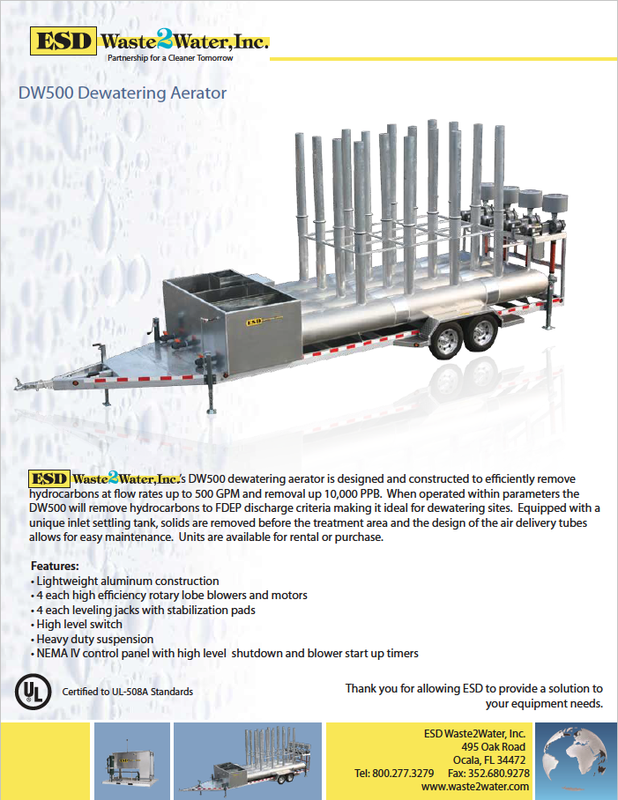 Skid mounted, open trailer, enclosed trailer, custom enclosure or custom building. 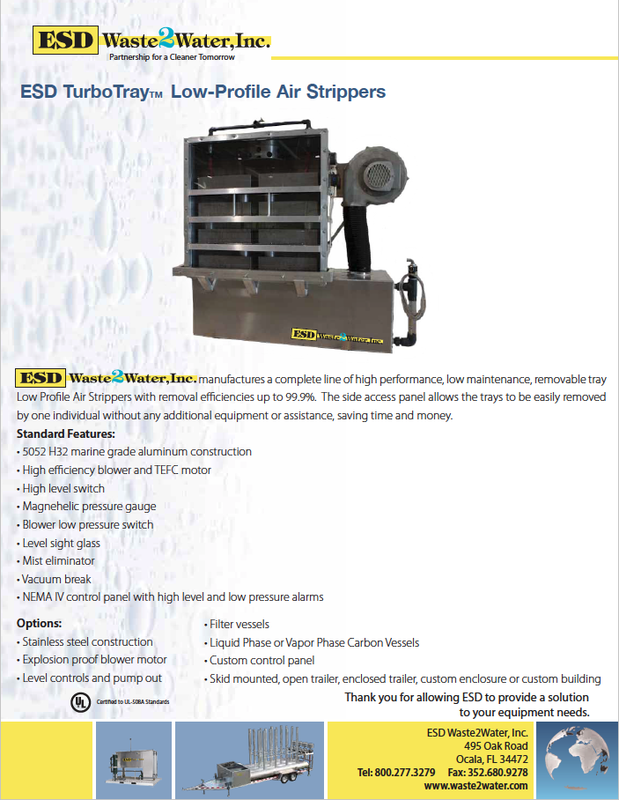 ESD Waste2Water designs and manufactures air sparging equipment that’s built in the United States. Our machines are made from superior materials and built to the highest standards. We’re industry leaders in creating cutting-edge technology with sensible solutions and low-maintenance designs backed with exceptional customer service. 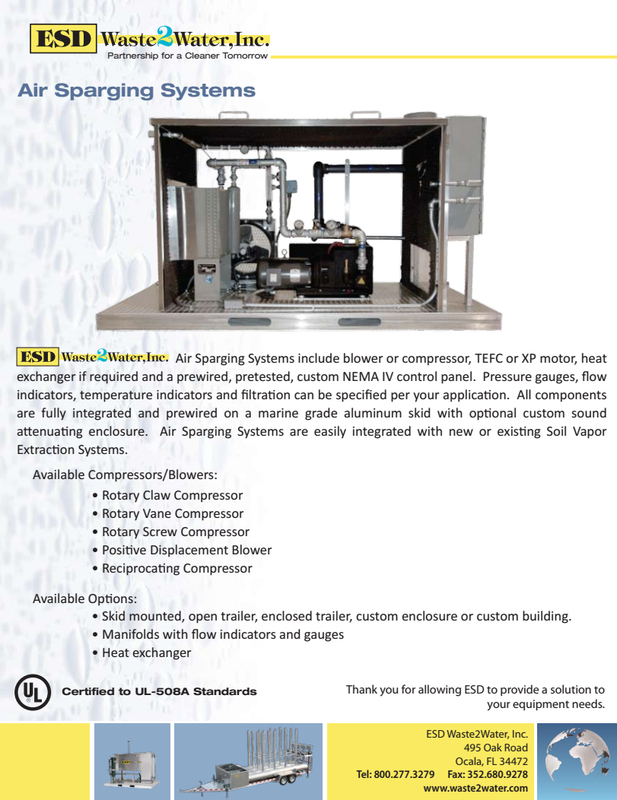 All of our air sparging equipment is designed by our technicians using CAD technology. 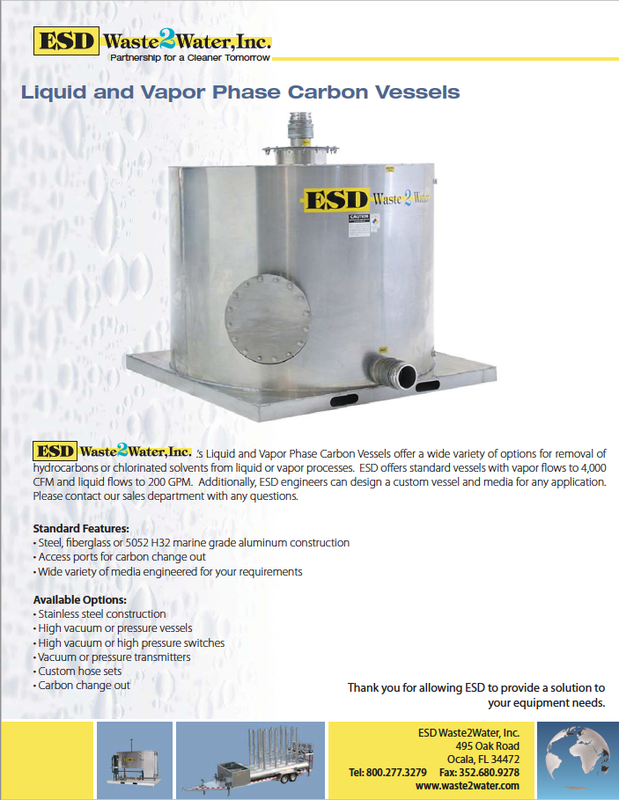 It can be customized depending on its application and your needs, and it can be integrated with other soil vapor extraction systems. Upon installation, our friendly and knowledgable staff members will be ready to train you and your personnel to ensure that you’re comfortable and knowledgable with system operations and standard maintenance procedures. 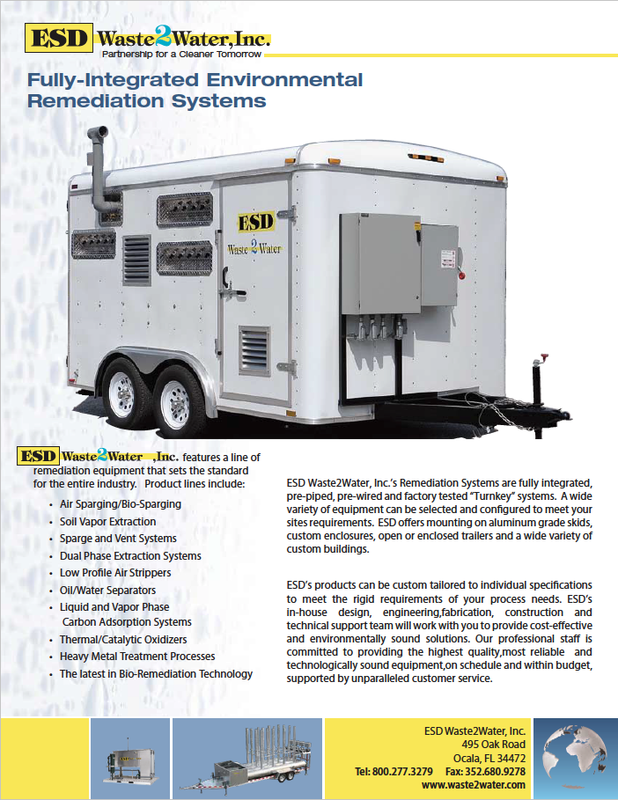 All ESD Waste2Water systems are offered with a comprehensive maintenance program. 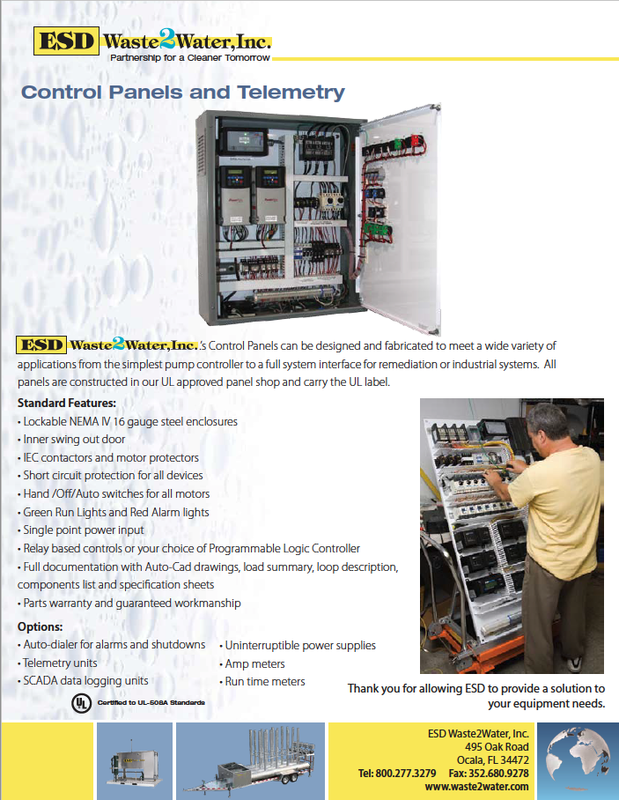 Contact ESD today and allow us to find a solution for your equipment needs.